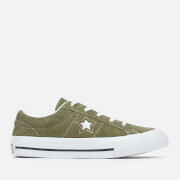 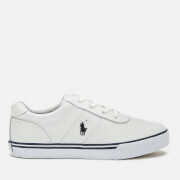 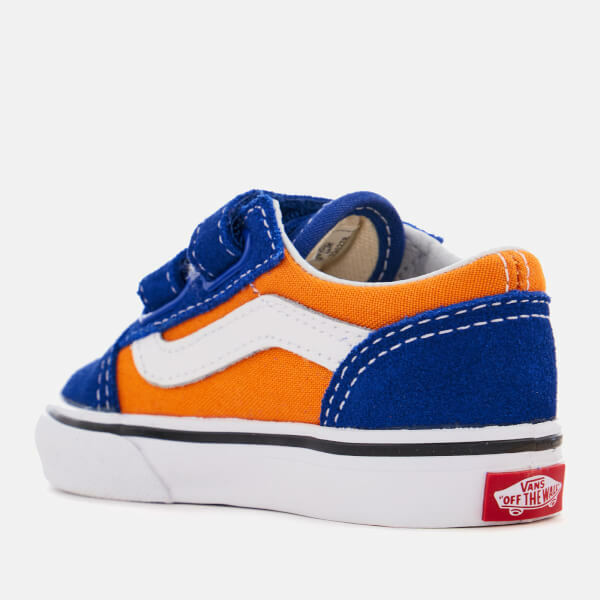 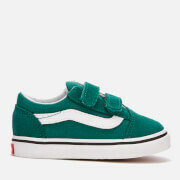 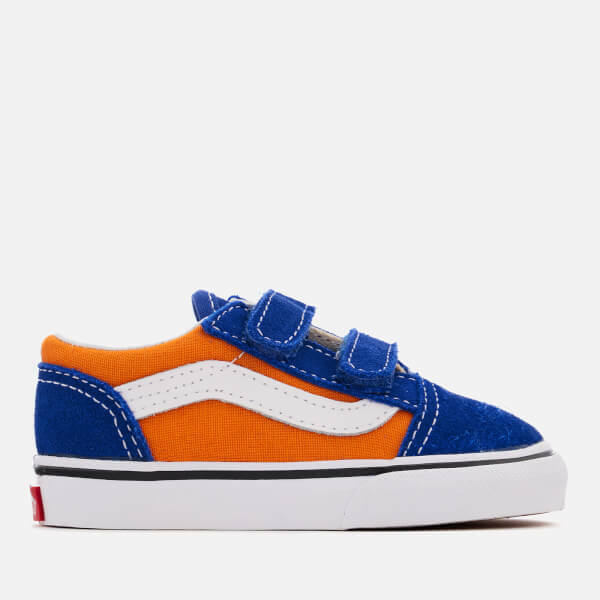 Toddlers' 'Old Skool' trainers from Vans. 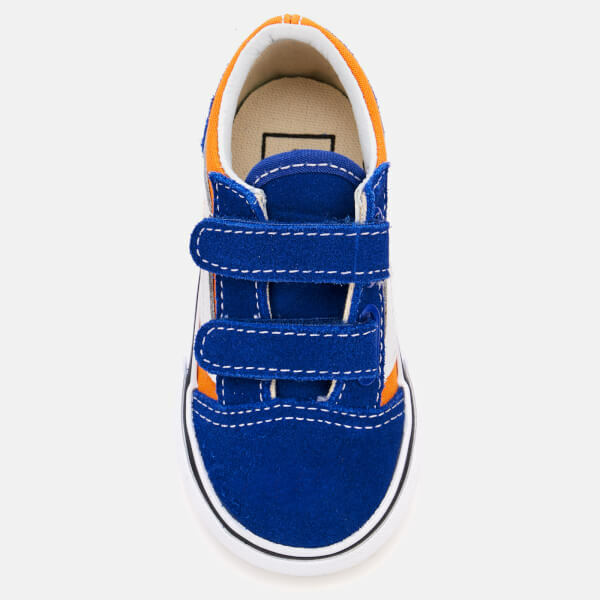 Crafted from soft suede with canvas panels, the low top pumps feature a rounded toe, side stripe detail and a Velcro closure for easy on-off access. 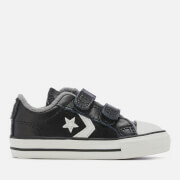 Set on a vulcanised rubber sole with the signature black stripe and a waffle tread, which enhances grip and stability. 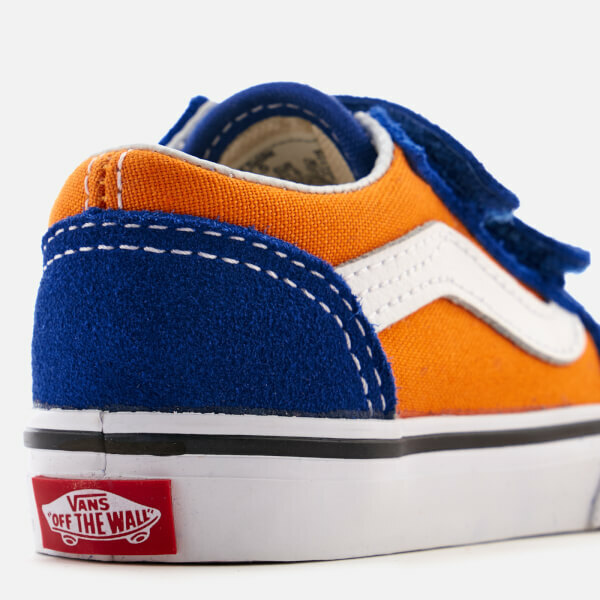 An 'Off the Wall' heel licence plate completes the design.